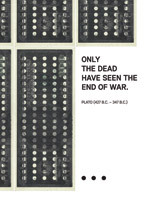 Graphis Design Annual 2008 Edited by B. Martin Pedersen. ‘Graphis Design Annual 2008 is the definitive Design exhibition, featuring the year’s most outstanding work in a variety of disciplines.’ Published by Graphis Inc. pp. 10–11, 110–113. Reviewed work: Permanent Art Installations at the University of Cincinnati Marché and C-Store. ENE O is an independent design magazine from Mexico, D. F. ENE O interviews Rebeca Méndez for the Summer issue. The interview follows in Spanish. English version to come soon. 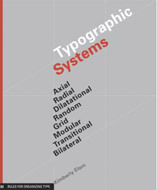 Rebeca Méndez’s design work has been reviewed in ‘Typographic Systems’ by Kimberly Elam, published by Princeton Architectural Press, April 2007. 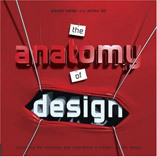 My work has been included in The Anatomy of Design: Uncovering the Influences and Inspirations in Modern Graphic Design, Rockport Publishers, 2007. Editors: Steven Heller and Mirko Ilic.